uring his keynote at our 2017 Advocacy Day, Dr. Vincent Bacote, a Christian ethicist and professor at Wheaton College, said, “people’s lives as disciples ought to matter every hour of the week.” Dr. Bacote argued that our Christian discipleship should include every aspect of our lives including our political engagement, but many of us struggle to bring our politics under the full authority of Jesus Christ and Scripture. We often compartmentalize our lives as Christians. We give the Lord dominion over our lives for two hours on Sunday, but our money, our votes, our families belong to us. Even as we declare Jesus Christ as Lord, we treat Him as if the boundaries of His kingdom extend only as far as we are comfortable. But, citizens do not declare national boundaries, the boundaries of our country are determined by those in elected authority. Christians are citizens of a heavenly kingdom, and if we declare Jesus Christ is Lord, He determines the boundaries (Colossians 1). Joseph de Maistre famously said, "Every country has the government it deserves" and "In a democracy people get the leaders they deserve." We are not the same nation today as the one which nurtured Bush into maturity. This nation is always shifting and changing. It’s interesting that the U.S., in its 1992 incarnation, dumped this good and great man as president who had overseen the fall of the Soviet Union and led the nation to victory in a war to stop aggression -- The Gulf War. #GivingTuesday 2018 is fast approaching, and we hope you are getting excited! Although our goal is to raise $10,000 for Operación San Andrés, we want to let you know other ways you can continue to take part in the ministry’s work. Knit baby blankets, stocking hats, prayer shawls, or anything else that will help people in Collique during cold and damp winters. Are you in college or seminary? Intern with OSA. You can spend up to 8 weeks at their mission site in Peru doing special projects, and may be able to use it for college credit. Collect school supplies and send them to OSA. Contact OSA for specific names and photos of children who participate in the Educational Enrichment Program and pray for them by name with your organization. Visit www.operacionsanandres.org to research more about the ministry and share what you find with the kids . Go to Peru and serve with OSA in April or October on a mission trip. Become a regular donor to the Hunger Offering or sign up for our newsletter to stay in-the-know. I was a pastor once. We tend to preach against sins our members have tacitly agreed upon, but we often ignore the primary sins of those members — greed, pride, lust, and gluttony, as well as failure to care for the hungry, hurting, imprisoned, foreigners, and others of Jesus’ “least of these.” Not all of us, surely, but many.It is not easy to be both priest and prophet, and this is not the first time in Judeo-Christian history that the challenge has arisen. Hurricane Harvey destroyed Jessie’s floor. Jessie is diabetic, in a walker, and without a family. One day, she heard a knock on her door, but had to drag herself across the floor to answer. Mission Centers of Houston was there to repair her flooring, but found her with scratched, bloody legs and sent her to the emergency room. MCH executive director Jeff Chadwick said Jessie could have died, but the hospital amputated her leg, sending her home to find new carpet and freedom. “When you do that for someone who thinks they’re the lowest, that makes all the difference,” Chadwick said. Since Harvey, Union Baptist Association’s MCH has served families in northeast Houston through the NE Houston Disaster Recovery Network. This summer, MCH continued to receive and deploy teams to assist in the essential long-term recovery ministry. Chadwick said MCH ramped up its food distribution, taking a box truck of food to those in need. The flooding affected more than 40,000 homes in northeast Houston alone. Sunday’s tragedy at First Baptist Sutherland Springs is heartbreaking and incomprehensible. These shootings feel incredibly personal. I bet they do for you, too. A Sunday morning worship service in a Baptist church in Texas -- how many times have I experienced this same scenario? For Sutherland Springs Baptist Church, this ordinary time turned into a horrifying scene. If you are like me, you have questions about how to respond. What do I say in the face of such a tragedy? How do I respond to something so devastating? Should I be afraid attending my church or living my life? Our hearts are saddened today as almost 800,000 young people actively living in our communities have been told they can no longer live among us unless Congress takes action. This announcement throws the lives of these young people into chaos as they are now fearful about their future in this country. These young people have grown up in our neighborhoods, attended our schools and churches and are leaders in our communities.This program allowed them to have legal status, which allowed them to positively contribute to the communities and the country they love. A picture in the news this weekend showed three white men holding black shields and black flags. It occurred to me that, though younger, they looked like me. Without their foolish garb, we could be mistaken as being very much alike. If I could hear them talk, we might even speak with a similar accent. Abandoned, isolated, alone -- this is the fate of thousands of children in Sierra Leone who have been orphaned by the deadly Ebola virus. Although the Ebola scare is no longer prominent in international headlines, the devastating effects of the outbreak have changed a surfeit of lives. A 2015 report* found that more than 12,000 children in Sierra Leone have lost at least one primary caregiver to the disease. The average Ebola orphan is 9 years old. Baby Benjamin was abandoned on the side of the road wearing nothing but a small white blanket and bearing a note saying that anyone who wanted him, could have him. “He was found by the villagers who passed by the road and informed the local authority,” said Rosy Lyn Htut, caseworker for Love for Myanmar. “They took the baby to one of our children’s homes called Kid’s Life. 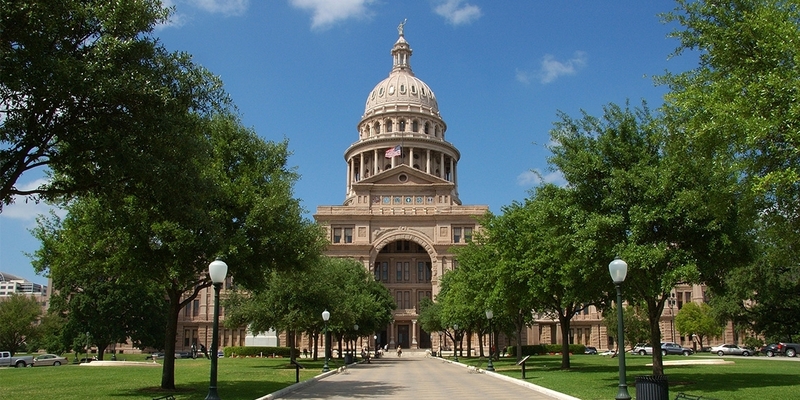 After 140 days, the 85th Texas Legislative Session has ended and even though a special session will begin on July 18 several important bills were passed over the last five months. Religious liberty concerns topped the list of Texas Baptists Christian Life Commission priorities. The CLC helped lead efforts to protect religious conscience rights of faith-based child welfare agencies. HB 3859 protects the rights of religious child welfare agencies to place children in homes consistent with their religious beliefs about the best environment for raising children. This week, I’d like to highlight several bills the CLC is supporting related to our policy priorities. The CLC public policy priorities are set by 18 Texas Baptists from across the state who represent a wide swath of Texas Baptist life. To review, policy priorities set by our commissioners for the 85th Legislative Session, click here. AUSTIN - The Texas Baptists Christian Life Commission (CLC) honored State Representative Trent Ashby, of Lufkin, with the 2017 Micah 6:8 Justice Award on Wednesday, March 1, during a reception held at the State Capitol. The award was presented in conjunction with the CLC’s Advocacy Day, a time of workshops, training and advocacy engagement for more than 200 Texas Baptists. AUSTIN - Texas Baptists’ Christian Life Commission will host 2017 Advocacy Day Feb. 28-March 1 in Austin for ministers, leaders, students and advocates. Workshops and general sessions will be held at Hyde Park Baptist Church Tuesday, Feb. 28, and appointments with legislative offices will take place at the Capitol building Wednesday, March 1. Ruth sat at a table in the two-room shack where she lived with her abusive husband and four hungry children in the Dominican Republic. She stared at a cup of tea in her hand that would cause her to abort a fifth child she was now carrying. "Ruth! Ruth!" She heard Rosa Elena calling her name from across the street. It became a God-moment, and the calling of Ruth's name saved the precious life of Ruth's unborn child. Rosa Elena did not just cry out to Ruth; Rosa Elena fed Ruth and her children, and shared God's love for her and spoke of the gift of life Ruth carried within her. I am a true fan of November. Situated at the end of autumn and the dawn of winter, November welcomes scarf weather, soup, apple cider, and of course—Thanksgiving. Even though I am admittedly biased due to my November birthday, I fervently believe that Thanksgiving is the best holiday. Thanksgiving is a day that solely focuses on gathering friends and family around a table for the sake of gratitude, community, and sweet potato casserole (the perfect food). What an ingenious idea! DALLAS -- The Texas Baptist Christian Life Commission has announced a relocation of all offices from Dallas to Austin effective Sept. 1. "This is an exciting decision that will enhance the effectiveness of the Christian Life Commission," said Dr. David Hardage, executive director. "Having the CLC in one location in Austin makes it easier for our churches to engage with the CLC's ministry and mission. It also positions us in close proximity to the state government to better garner support for our legislative priorities." Union Baptist Association, our state's largest regional body, is taking a leadership role in the fight against human trafficking in Texas. The association's UBA E-Notes this week highlights two human trafficking items. The first connects to a YouTube video and a web page titled "Where Do I Start?" The page stresses the three steps of learn, pray and act. The second item gives information on a Sept. 20 event at South Main Baptist Church in Houston. It will feature presentations by experts, a tour of high-risk local areas, and times of worship. Thessalonians 5:17 says to pray continually. Structured prayer is difficult for many of us, but we can still cultivate a spirit of continual prayer -- simply praying as we go about our daily activities.